Raye-Allen Spring Carnival is April 25th from 5:30-7PM. We will have lots of games, prizes, music and food! Everyone is invited! Thank you to our United Way Readers! 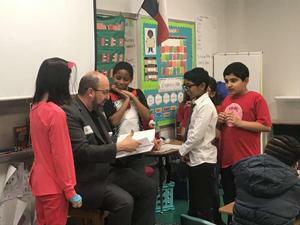 Thank you to our United way readers! Our students loved the books. Congratulations to our fourth grade student Madison Estes for having her essay advance to the state level! Congratulations to our fourth grade student Madison Estes for having her essay advance to the state level. She wrote an essay on Cynthia Ann Parker. The Sam Houston Chapter of the Daughters of the Republic of Texas selected Madison’s essay as their entry to the state contest. She won a certificate, a Texas treat basket, and a monetary prize. She also got to meet Andy Anderson from KCENTV. We are very proud of Madison and her hard work on her essay! Join us on Wednesday March 20th for a FUN Ace event! Celebrating Dr. Seuss’ Birthday! View more photos on our Raye-Allen Facebook Page. You’re off to great great places! Your mountain is waiting, so get on your way! Raye-Allen Art club has started! The Raye-Allen Art Club met for the first time on Wednesday. Their first project is paper mache. We are so proud of our art students! Way to go Eagles! We are so proud of our students that attended the Bluebonnet Extravaganza event today. 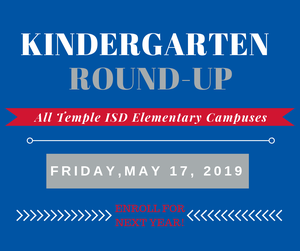 We had 211 of our 3rd-5th grade students that qualified to attend. Our school was the top in the district. Way to go Eagles! Check out the video on our Raye-Allen Facebook Page for more great photos from the event. 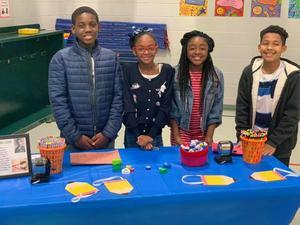 We had a fun evening at our Black History Month Inventor’s Day hosted by our ACE program. Our students and staff did an amazing job presenting. Thank you to everyone that attended the event! Reminder: Third & Fourth grade choir concert is Tuesday, February 12th @ 6PM. Please have your student at school by 5:50 PM. 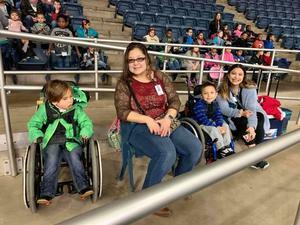 Kinder and First grade students took a trip to the Bell County Rodeo! 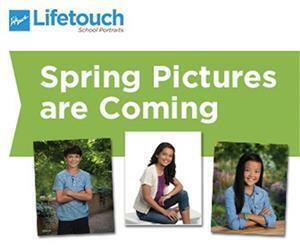 Spring Pictures are Friday, February 8th. 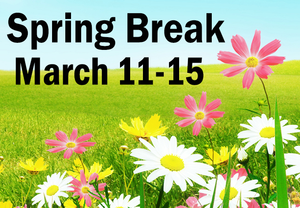 Spring Pictures are Friday, February 8th. You can order online at mylifetouch.com. Come join us for a fun event at Raye-Allen as we celebrate Black History Month! 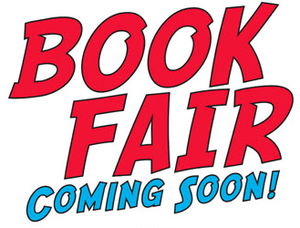 Book Fair coming soon- February 11th-15th! Check out Mrs. Hine's awesome 5th grade students making a video about the formation of oil! Parents, we hope you can join us for this exciting event with Mrs.Kyle the Raye-Allen Counselor! Congratulations to all of our EAFK medallion winners! We had a great EAFK Knighting Ceremony last week! Congratulations to all of our students that received a medallion. We are very proud of all of you!